Newcomer Family Obituaries - Sharlyn D. 'Sherry' Wilson 1947 - 2019 - Newcomer Cremations, Funerals & Receptions. 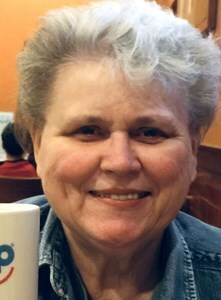 Sharlyn (Sherry) Wilson, 71, a lifelong resident of Columbus, Ohio, ended her courageous battle with cancer, at home, surrounded by loved ones. She was preceded by her parents, Robert William Wilson and Lola (Canterbury) Kittle, and her brother M. Keith Stukey. She is survived by her husband Shane D. Wilson, sisters L. Lenae Meacham and Stephanie Carter, her nieces and nephews, and her fur baby Blue Velvet. An employee of USI Affinity for 22 years, she was a cherished member of her work family. Her gentle heart, welcoming smile and warm hugs endeared her to many dear friends. She loved reading, listening to live music, animals and going to the beach. She met life’s challenges with a sense of humor and copious laughter. The family thanks Brookdale Hospice for the care by their compassionate staff. A visitation will be held at Newcomer Funeral Home, 3047 E. Dublin-Granville Rd., Columbus, Ohio, 43231, on Sunday, February 24th from 2 to 5pm. In lieu of flowers, donations can be made to animal rescue, reading or music programs in Sherry’s name. Add your memories to the guest book of Sharlyn Wilson. There are couple things she made you feel welcome anytime.also she always had a smile for you Sherry you 1 In a million. there will never be another you. Our friend Edith told me, “Sherry is a love!” She was delighted for you both, Shane. I met Sherry and knew Edith was right. Sherry was warm and gracious and funny, and I felt as if I had known her always. I’m glad you had each other. Sending love and wishing you a peaceful heart.